The Ultimate Praise and Worship Experience is here again!!! Are you heavy with burdens, pains and troubles and it seems that no one cares ... #REJOICE! 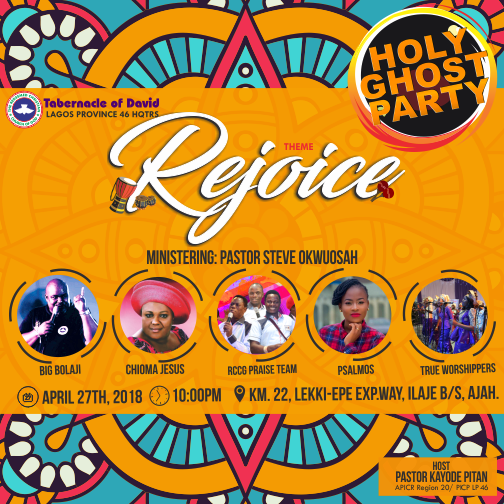 Because at the Holy Ghost Party all your burdens will be lifted and you will rejoice.